Over the years, Greece made headlines for the economic crises it went through and its bankruptcy. However, even with the financial problems, tourism in Greece has not slowed down. Since 2015, tourism has continuously increased in Greece. In 2017, this European country had over 30 million tourists and it’s expected that number to increase to 33 million for 2018. As you can guess, it’s extremely hard to find a cheap stay to a four- or five-star hotel in Greece. One of the best, hotel deals I found in early 2017, was to the four-star hotelPallini Beach Hotel,by GHotels, in Kallithea. Is it worth staying at Pallini Beach? Find out below from our personal hotel review and why you should book your vacation here. 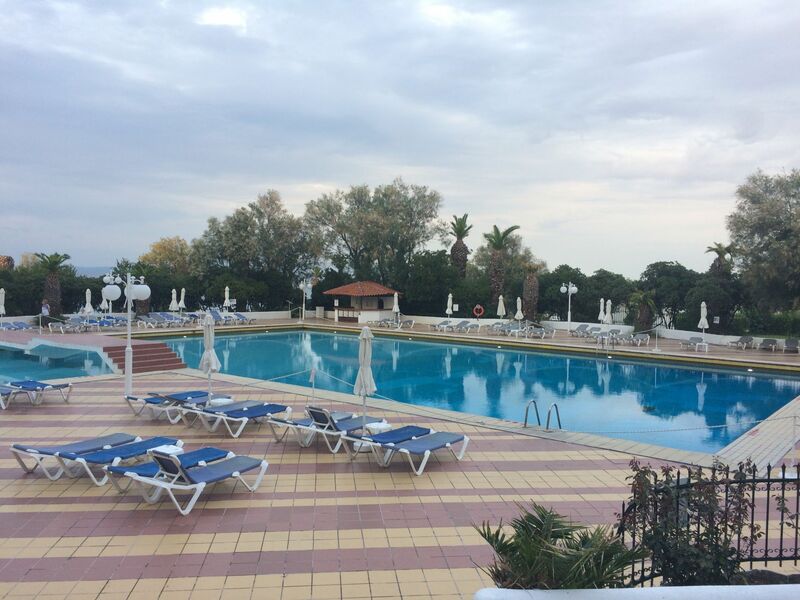 Back in January 2017, while browsing hotel deals in Kassandra, Greece, I found an early-booking deal for Pallini Beach Hotel 4*. Being that it’s a four-star hotel in one of the most popular destinations in Halkidiki, I decided to grab this opportunity. At first, I was a bit skeptical because what a four- or five-star hotel means in the USA does not mean the same thing in Greece. However, my travel partner said she heard good stuff about the hotel, and so we patiently waited for months to see what we got ourselves into. To this day I must say I have mixed feeling about this place; I was both nicely surprised and disappointed a bit. 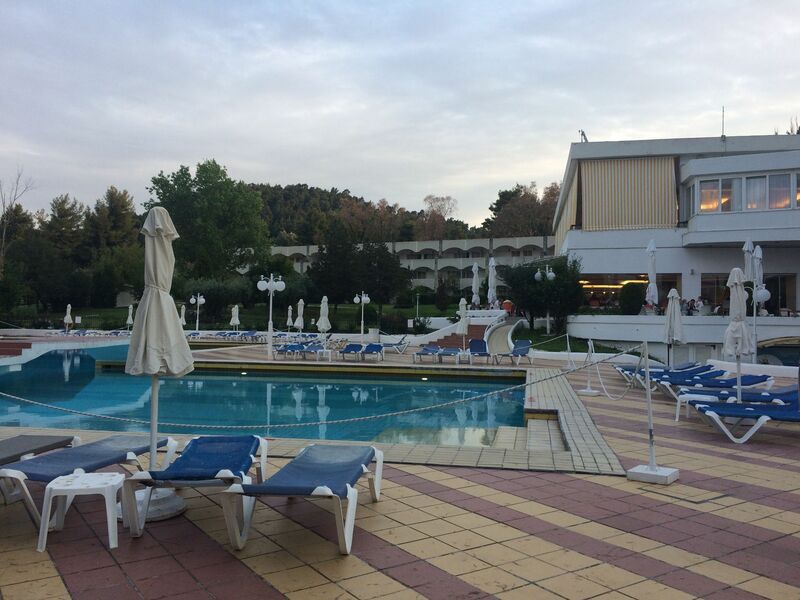 The Pallini Beach Resort has always been considered as one of the top places in Kassandra and Halkidiki. 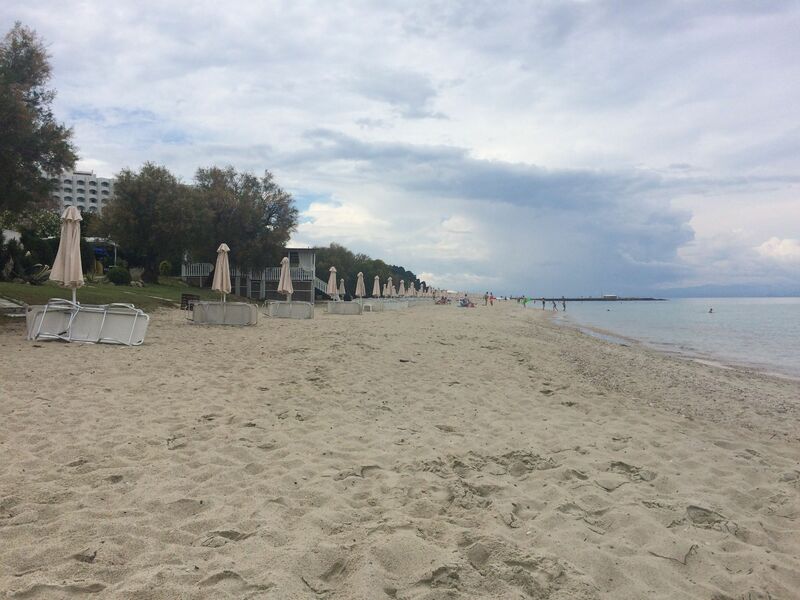 Pallini Beach is also one of the well-known beaches in Kassandra. But as I said before, a hotel-star qualification in America is absolutely on a different scale and higher scale than the ones you will see in Greece. Be ready to lower your expectations to really enjoy your vacation in Greece. First, I must note that we booked afirst-row bungalow on the Pallini beach, and due to thefirst-minute sale onBooking.comwe were able to save over 50% of the price. The day we got to Pallini Beach Kassandra was a cloudy one, which kind of made us gloomy, but we were excited to start our vacation in Greece. Before anyone can enter the hotel property, they must check in with a security guard, who is responsible for opening the gates to this gorgeous palace. We felt safe knowing that someone pays attention to who is entering or leaving the hotel grounds, plus there was another one at the parking as well – no need to worry about the car either. We parked the car in front of the entrance to check-in and smiling faces at the reception desk were waiting for us. The process took no more than 5-minutes and a bellboy showed us where to park the car and took us to our bungalow by cart. The compound area of the hotel is breathtaking. 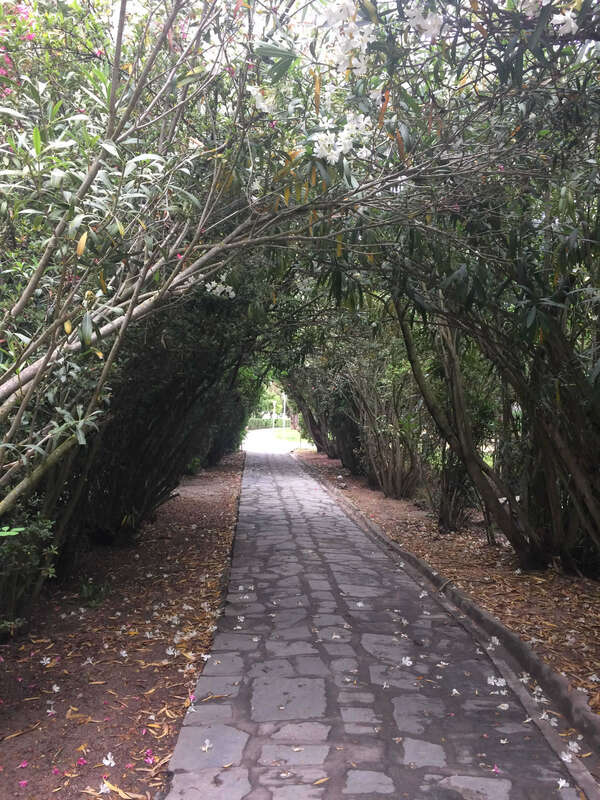 The property contains many palm trees, colorful flowers, vegetable gardens, and it even holds a small park. Soon afterward, the bellboy stopped in front of a cute bungalow, which is, in fact, a small building with a little private garden in front of it. The sandy beach is located right across the bungalows – a stunning and unforgettable view. For those that don’t know, the bungalows are located at the end of the property of hotel, next to the Aegean Melathron Thalasso Spa Hotel. The bungalows are in multiple rows close to the beach. Of course, the first row of the bungalows starts from Pallini Beach. The main building is huge, but it’s obvious that it’s not a new construction. The bungalows have been repainted on the outside and thus they are very attractive to the eye. There is a beautiful nature on the property as well off-ground. The landscape I well cared for and has an appealing Mediterranean style. There is an asphalted parking lot with a guard at all times. However, I would point out it’s a bit small for a big resort. When we entered the room, there was a personal welcome letter from the manager – a very nice touch in my opinion. We had a large room with a kitchen and a mini garden in front of it. It was a spacious room, fitting a double bed and another smaller bed in a corner of the room (we had a 3-person bungalow). However, the furniture was old. Replacing it with a new, modern styled one, will make the room and experience more pleasant. The biggest flaw of the room: we had only two power outlets in the whole bungalow. Come on people! It becomes really frustrating to go to “luxury resorts” where necessity needs are not met. Everyone was nice, professional, and helpful when requested. I loved the maids and the restaurant employees – anything I needed, they went above and beyond. We had breakfast and dinner at the hotel and I can say that both were great. There were many options, and each day there was a new specialty to choose from. The waiters were really professional and good at their job, i.e. whenever a tray was empty, they would bring another one, whenever a dish was left aside, they would pick it up. Also, the food was delicious and fresh. Possibly the only remark is that there weren’t many options for those that prefer seafood or avoid meat, but that would-be hairsplitting really. Our first impressions stayed positive during the three-night stay at the hotel, with just a few negative quirks. Using the sunbeds and the umbrellas on the beach, including the ones by the bungalows, have a charge of €7.50 per day. A price I think that is unacceptable for guests at luxury-branded hotel. Luckily, you can use your own sunbed and towels. The beach, on the other hand, is amazing. It’s made of soft-sand, and it’s clean and well-organized. The sea is a dream come true. The beautiful emerald clear waters are perfect for kids, snorkeling, and even photo shoots. After all, Greece has some of the most amazing beachesin Europe. 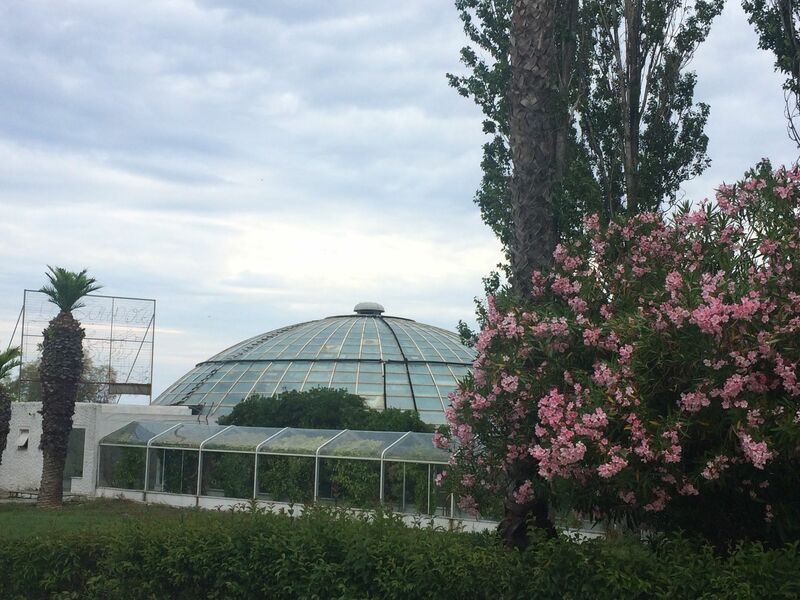 We had a similar experience with the sauna and beauty center – guests must pay for everything, and the prices of the spa center are not cheap. There is free Wi-Fi on the property. However, the Wi-Fi signal is terrible outside the main lobby. This especially applies to those staying in the bungalows furthest from the hotel building, like us. When it comes to shopping, the hotel has its own market, a shop, and a souvenir shop. The prices were acceptable, with local markets obviously being a bit more affordable. Small church in the park. Inside swimming pool at the hotel. For those that have never been to Kallithea, it’s one of the most popular places in Kassandra and Halkidiki in general. This Greek vacation spot has lots of bars and restaurants, and pedestrian areas with lots of shops. I highly recommend if you are staying near Kallithea to check out the town at least once. Kallithea has few historical sites, such as the Temple of Ammon Zeus, an archeological site. It also has amazing beaches, with pristine water oasis. Check out ouramazing beaches in Greece photo essayfor some breathtaking photos. We had a nice night out in Kallithea at a place calledThe Last Slice, it’s a self-serving pizza place with local beer and stunning view of the sea. Those that want to party, the well-knownPearl discothequeis a 15-min walk away from the hotel, and it’s located halfway between Pallini Beach Hotel and the town Kallithea. Getting to Kallithea or other towns is quite easy. At the front, there is a bus stop that can take you either way. To Kallithea, in particular, the price per person was €1.80, so it’s probably better to get a taxi for €5 if more than two people are traveling. So, after three nights in front of a paradise beach and a large private bungalow, I didn’t feel like checking out. I enjoyed my stay and didn’t want to leave. The checkout time was 11:30 AM, which is not too bad, but unusual since most hotels even in Greece have a 12 PM check out (the apartments in Greece usually have a 9-10 AM checkout time). However, we took advantage of the fact that our bungalow was far from the main building and didn’t close the door. That way, even though we stayed at the beach we could go to the bathroom inside “our” bungalow after we gave the key back. The maids noticed this, but they were too nice and didn’t say anything. We didn’t stay too long at the beach anyway, and they wished us a safe trip when we were leaving. Before going away, we took one last look at the amazing sea and took a deep breath of fresh air. 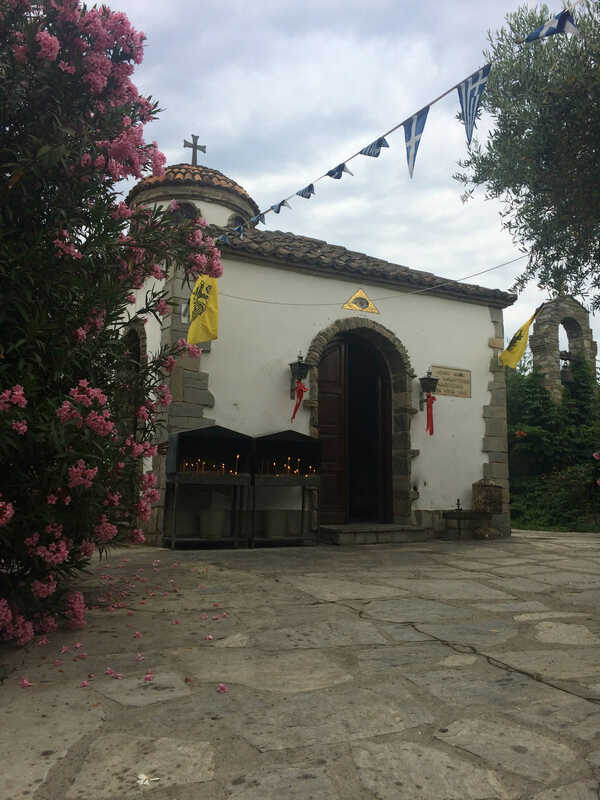 It was a good stay, but we had to go – another adventure was awaiting us since we were heading to the Olympic Bibis Hotel in Metamorfosi, Sithonia. The Pallini Beach Hotel in Kallithea, Greece offers a beautiful beach with turquoise-blue water to its guests. It’s perfect for a family vacation or couples on a romantic retreat. The hotel provides an excellent hotel accommodation in Kallithea, and it has one of the best beaches in Kassandra, Halkidiki.